The PowerVault ML6000’s modular architecture provides versatility to help protect long-term investments. The control module can be placed anywhere in the expansion stack, making it easy to grow and customise your library. 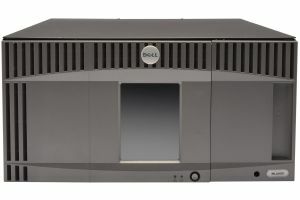 The ML6010 is a 5U unit that supports up to two SAS or FC Tape Drives.